Ms Stiefvater is steadily becoming one of my favourite authors. As I said in my review of the first book of the Wolves of Mercy Falls series, Shiver, I liked it. This liking is slowly turning into something more, something that is reserved only for my all-time favourites. Reading Linger felt like returning to old friends. I read it during the hectic mess that are my review books. I read it when I went to sleep and wanted something comforting. The dreaminess of Ms Stiefvater’s writing draws me in so effortless. 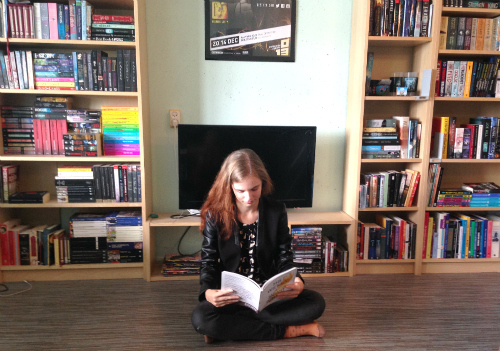 I can pick up her book after a long stressful day and within a few words get transported to her world. Another thing I love is how realistic her relationships are. Sam and Grace are still an amazing couple and I was very glad that she didn’t insert petty fights to make it more exciting. The only issues they had were things outside of their doing. A big issue in Linger are Grace’s parents. Now Grace and Sam have been together for so long, eliminating their oh-it’s-just-a-fling attitude, they are getting in the way of their relationship. The whole situation is so life-like. I can imagine parents all over the world reacting the same way. The budding romance between Isabelle and Cole is awkward and adorable. I think one day they will make a great couple. They are absolute opposites to Grace and Sam, yet awesome all the same. I’m looking forward to see what happens to them in the next book. One thing I didn’t like – the cliffhanger! Argh, now I have to read the last book in the trilogy, Forever. I heard a lot of people are disappointed with the conclusion. 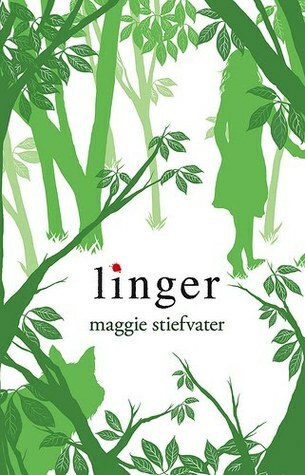 I just hope reading Forever is just as enjoyable as reading Linger.